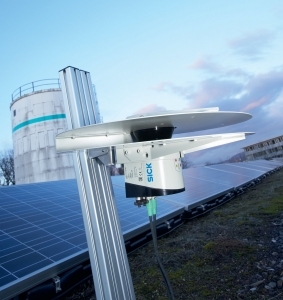 Sensor and sensing systems manufacturer, Sick UK will showcase its innovative LMS 100 series of laser sensors and the latest addition to its RFID range, the RFH620, on stand D3612, at Drives and Controls 2010, NEC, Birmingham, UK, from 8th – 10th June. Set to make a significant impact on the laser sensor market, due to its ability to avoid false signals, broad usability , the LMS ensures accuracy for security, safety and presence detection, both indoors and outdoors. Tim Stokes, UK Barcode Product Manager, SICK (UK), commented: “Product development is at the heart of the SICK brand. Our continuous innovation means that we are able to deliver market-leading solutions which meet the increasing needs of our diverse and growing customer base. “Drives and Controls covers a broad range of subject areas which perfectly reflects our innovative range of sensing solutions, which can be used in a wide range of applications.